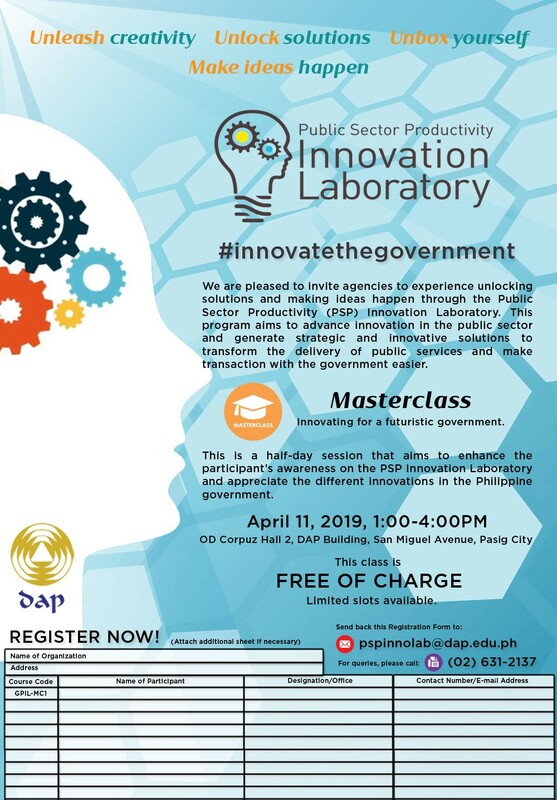 The Development Academy of the Philippines is pleased to invite agencies to experience unlocking solutions and making ideas happen through the Public Sector Productivity (PSP) Innovation Laboratory. 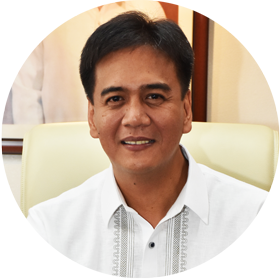 Specifically, we shall be holding a half-day Masterclass on 11 April 2019, 1:00PM-4:00PM at the OD Corpuz Hall 2, DAP Building, San Miguel Avenue, Ortigas Center, Pasig City. 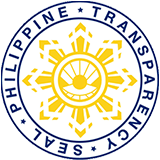 This activity aims to advance innovation in the public sector and generate strategic and innovative solutions to transform the delivery of public services and make transaction with the government easier. Interested agencies may log-on to http://bit.ly/dapmasterclass to register. This is free of charge! 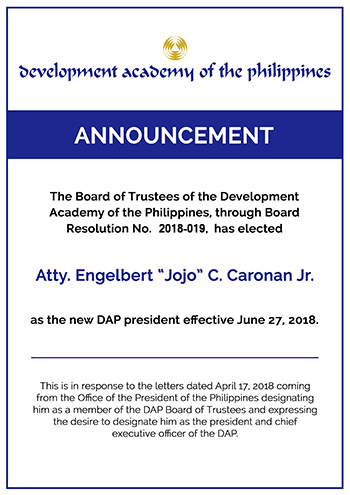 For further inquiries, please contact Mr. Gerard Paul J. Calambro at telephone number (02) 631-2137, or through email: pspinnolab@dap.edu.ph.